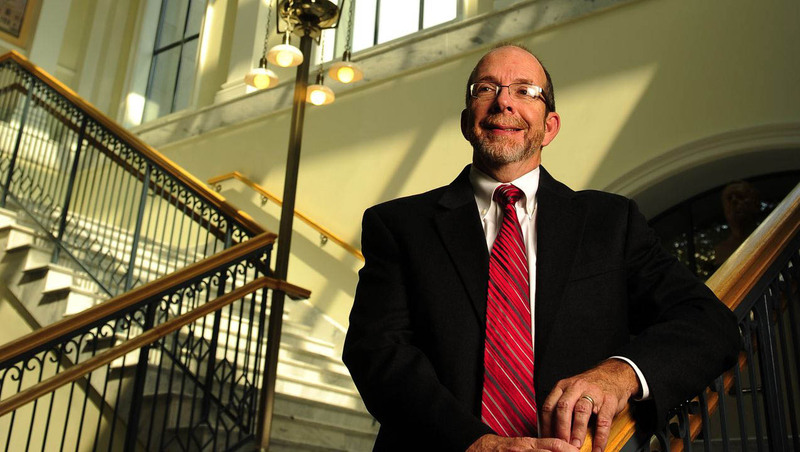 Kent Oliver is the Director of the Nashville Public Library (NPL). NPL has been using TLC’s CARL•X since July 2017. They have recently implemented the automated renewal of library materials to further enhance their community’s user experience. In the 1980s, I joined the Daniel Boone Regional Library (DBRL) in Columbia, Missouri, and was literally amazed that DBRL did not charge overdue fines. In a major college town (home of the University of Missouri), this was a revelation. At the time, this was far from standard public library practice, with only a handful of public libraries embracing this approach. DBRL had concluded that charging fines did not improve the return rate of borrowed materials. Jump forward to the last five years, during which more and more public libraries have moved in this direction, especially in major urban areas. Rather than only focusing on rates of overdue material returns, libraries are grasping that fines are a barrier to service in our society. 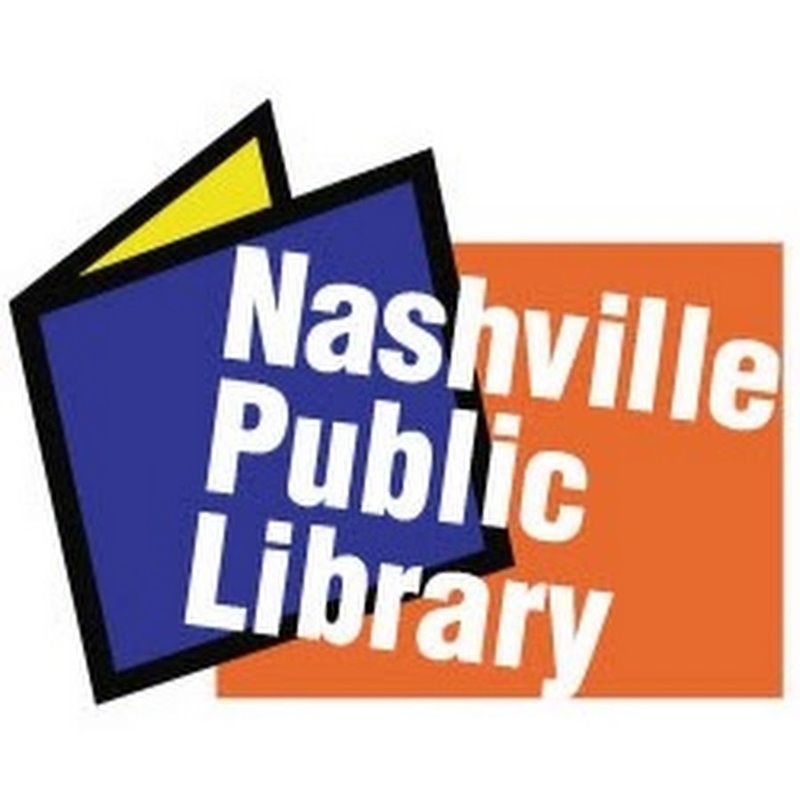 Since July 5, 2017, Nashville Public Library (NPL) patrons have been able to borrow books, movies, and music without accruing overdue fines. This timing coordinated with our migration to TLC’s CARL•X integrated library system. Prior to NPL going fine free, if patrons owed $20 or more in overdue fines, use of their library cards would “freeze.” That is no longer an issue. What’s more, NPL erased overdue fines patrons owed prior to this time. Accessibility for everyone in our community is a core value for NPL. This change has increased patrons’ access to the two million-plus books and other materials they can borrow with their free library cards without increased issues related to filling material holds. Additionally, revenues from overdue fines–which were not a library revenue generator– were on the downturn and would have continued to decrease, in large part because of the rise in usage of e-materials that automatically “return themselves”. Any potential future revenues from overdue fines would not have outweighed our commitment to accessibility. The Library does still charge fees for lost, missing, or damaged items. Certainly libraries that rely on fines for a significant portion of their budgets, or are in a budget reduction mode, may find a loss of fine revenue challenging. Fortunately, NPL was able to make this change with the support of NPL’s Board, the Metropolitan Government of Nashville & Davidson County’s Metro Council, and Mayor Megan Barry. They recognized the access issue, as well as the fact that the $159,000 in overdue fines represented a mere 0.02% of Metro’s $1 billion budget. While tracking the outcomes of this change is more of a challenge, anecdotally, we know patrons love it. In the future, we hope to plot library card holders throughout the county to determine if our usage penetration in neighborhoods is on the rise. 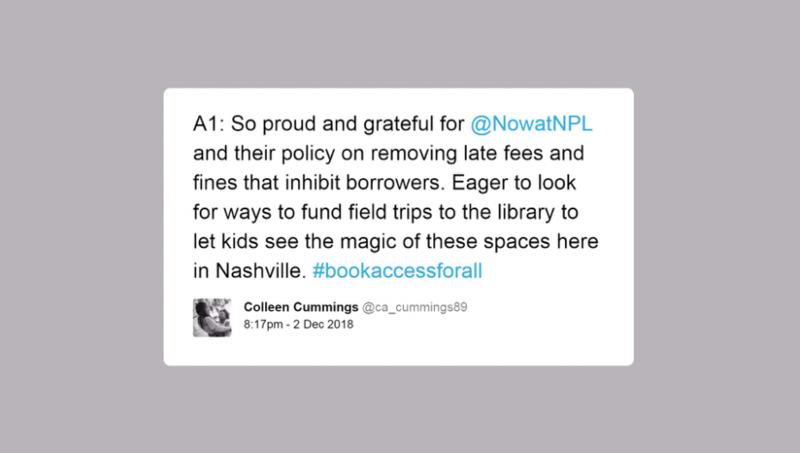 As a result of NPL going fine free, more Nashvillians benefit from our services and improve their lives as NPL inspires reading, advances learning, and connects our community.